Calling all marine life lovers! Come explore life underwater at Miami Seaquarium. From animal encounters to mesmerizing exhibits, there’s so much to discover about our aquatic friends. Don’t forget to take in a dolphin or sea lion show while you’re here. The whole family will enjoy seeing manatees, penguins, seals, tropical fish and so much more. Plus, be sure to try out our obstacle course! Selfie sticks are prohibited from the aquarium and park for the safety of guests and animals. 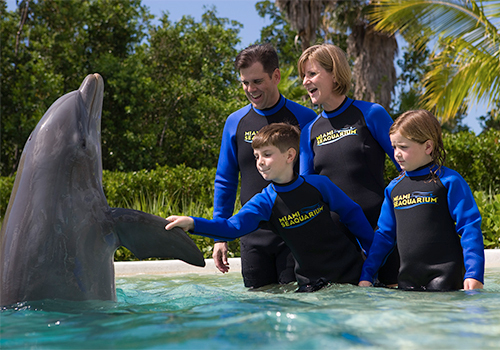 Features a wide range of experiences, from dolphin shows to an aerial obstacle course. Exhibits teach guests about sea conservation, rescue, and rehabilitation. Whether swimming deep beneath the surface or leaping high above the water, the sealife of Miami Seaquarium® will delight and astound. 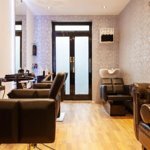 Take a look at all we have to offer. There's an experience for every member of the family. On a 38-acre tropical paradise, the Miami Seaquarium® is where conservation and education go hand in hand, sea lions delight children of all age, and endangered sea turtles and manatees find a safe haven. Enjoy a world-class marine-life entertainment park with a variety of fun things to do in Miami, South Florida. From eight different marine animal shows, astonishing daily presentations, and a variety of educational tidbits along the way, Miami Seaquarium® is a place of inspiration, education - and fun! General Admission: General Admission includes all day access to the Seaquarium. daily admission includes a fun filled day of marine-life shows and exhibits on 38 beautiful acres overlooking the Miami skyline. Dolphin Odyssey: You’ll have the opportunity to kiss, hug and dance with one of these amazing mammals. Hold on tight! You’ll swim into deeper water for an amazing dorsal pull across the pool! Must be 52” or taller. 14 people max per session. 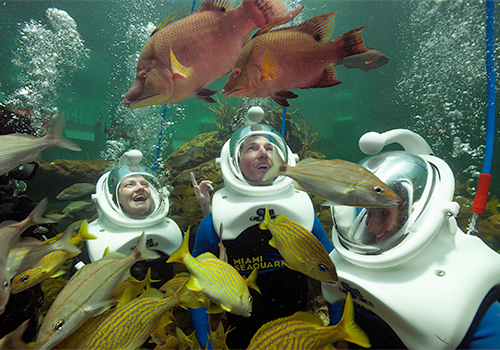 Reef Encounter/ Sea Trek: You’ll put on a space-age diving helmet that makes it effortless to breathe underwater! Then, you’ll descend into our amazing reef tank filled with tropical fish, stingrays, turtles, eels and more! 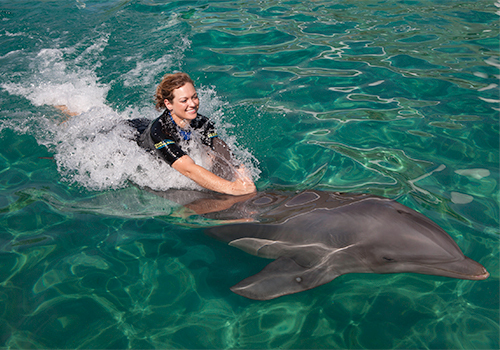 Dolphin Encounter: This shallow-water dolphin experience includes many of the behaviors in an Odyssey. You’ll get to touch and kiss and even feed your dolphin, but there is no swimming (except by our dolphins and they’re pretty good!). 28 people max per session. Seal Swim: These playful mammals just love interacting with our guests. 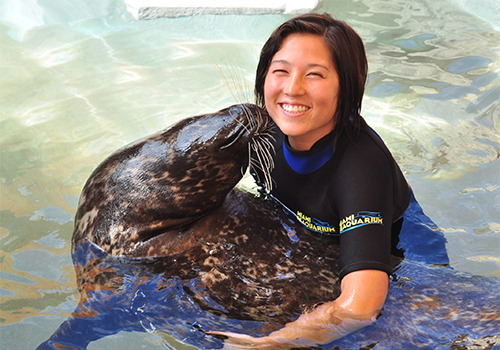 You’ll enjoy a free swim with our seals and then our trainers will guide you through some behaviors – seal kisses, seal hugs and more! Have you been to Miami Seaquarium? Share your knowledge and be the first to review this. I'm not going to get into how sad is to see those highly intelligent mammals being forced to perform for us....yes, they are forced...they are not happy, specially the killer whale. What will also leave you sad is the prices you have to pay to see these "attractions", the food, the parking, the photo, everything is overpriced guys...you know better that this, avoid this place at all cost. I came here for the first time when my son was 1 year. And here we are again. My son is 15 now and my daughter is 10. This place is not changed a lot. The show were so nice and giving a lot of informations about sea life. My kids enjoyed a lot. I went on a rainy day thinking it would be inside - it's not! Most of the park is outside and it's centered round the shows. Sea lions, seals, dolphins and a killer whale, all jumping through the air and performing tricks. I don't usually like this kind of thing but it was great entertainment. They give you a map and a schedule when you enter and if you time it right you can spend several hours going from one show/event to another. Another highlight was the stingray touch pool. I was the only person there so I got lots of attention when I put my hand in. Amazing. Visited Miami Seaquarium today, was very disappointed with just about every aspect of this venue. More restaurants than shows, and I was appalled by both. Shows were dated and mediocre, restaurants worth missing but most of all the conditions that some of the sea life is being kept in we’re atrocious. 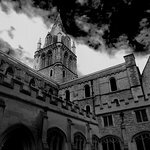 Save your money, and your time .... donate it to something more worthwhile because this place is shocking ! Can I bring my pet to Miami Seaquarium? No. Legally-certified service dogs are the only type of pet or outside animal allowed within the park. This policy is in place for the safety of our guests, employees, and marine animals. Are strollers or wheelchairs available to the public? Yes. Wheelchairs and strollers are available for rent on a first come, first serve basis. These can be found at the Guest Services area at the front of the park. How long will it take me to complete the entire park? It takes guests approximately four hours to tour the entire park. Guests are welcome to stay as long as they need during operating hours to experience the entire park, shows, and available animal encounters and experiences. Miami Seaquarium is open all year long from 10:00am to 6:00pm. Hours of operation are subject to change due to private events, inclement weather conditions, or other outside factors. What time are the shows each day? To ensure the safety and wellbeing of our animals, the show times vary each day and are established the morning of. Generally, it is best to arrive at 9:30am or 12:00pm to see the full cycle of shows scheduled for that day. If you have questions about the shows being held on the day of your visit, please ask one of our onsite employees. What should I wear if going to the park? It is recommended that guests wear comfortable clothing with the day’s forecast in mind. All attire must be family-friendly in nature. In addition, jewelry that poses a potential threat or hazard to our animals will be asked to be removed. Can I bring a camera to the park? Yes. Personal photography is allowed throughout the park, with the exception of our animal interactivity opportunities. Photography poses a threat and safety hazard to our animals and guests during these experiences. Contact us for support or help booking your trip at 1-844-993-3233.